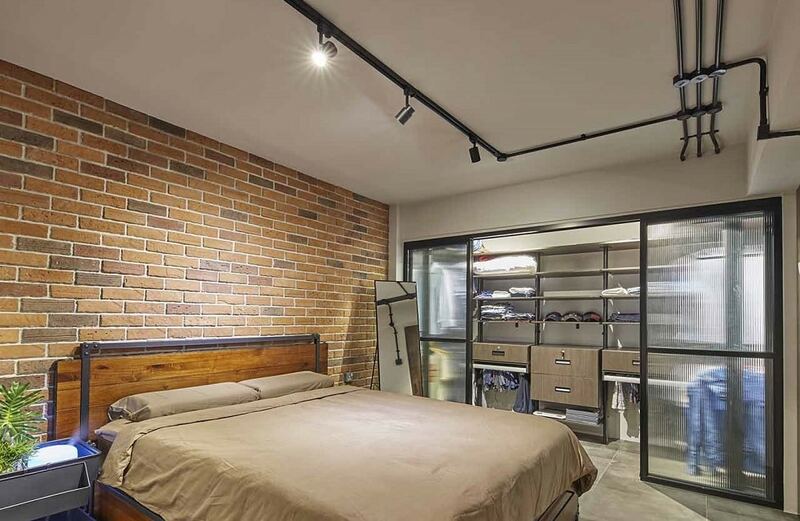 The industrial style palette used in this bedroom is absolutely iconic. It uses the most basic textures – exposed brick, distressed wood, metal, etc. – but the transition from one to the other is fresh and stunning. The minimalist execution also complements the frosted glass sliding door in the background that showcases the pragmatic design of the walk-in closet in the background. This living room interior design has gorgeous modern style overlays on its industrial style base. The colour and texture selection is absolutely on point, but it’s actually the finishes that makes the modernity so apparent. The furniture and backdrop of gorgeous white exposed brick wall articulate the industrial side, and the warm lighting completes the overall look fabulously. 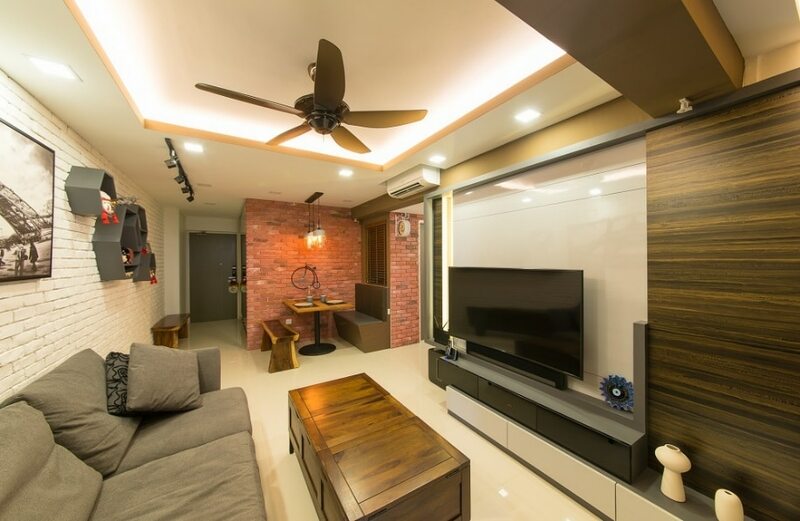 If subtlety and too much background noise is not your cup of tea, then you can take some major inspiration from this living room interior design. It uses artwork of an actual industrial masterpiece – i.e. the Eiffel tower – as the focus point to emulate this style. The trifecta of white exposed brick backdrop, artificial grass, and gorgeous greys just act as the cherry on top! 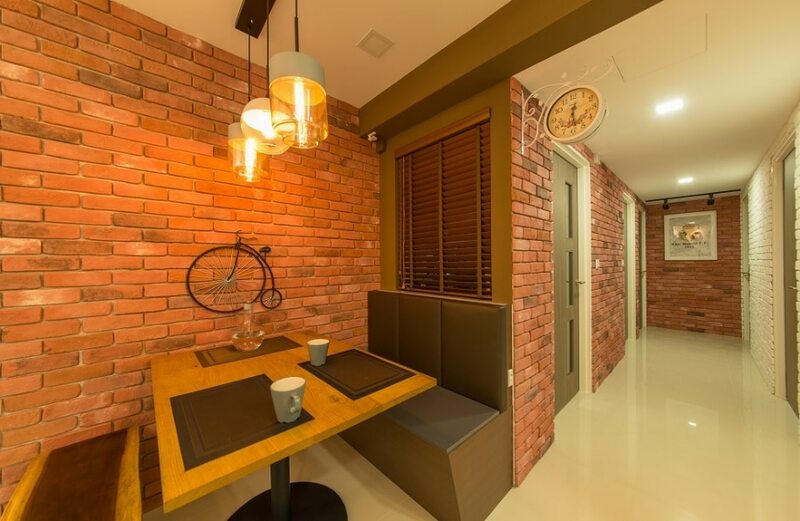 The two most iconic design elements of the industrial style are the red hue of the exposed brick and the dim gold incandescence of the lighting. Both of these have been artfully emulated in the design of this gorgeous dining nook. The artful addition of classy furniture and the beautiful iron-caster bicycle makes the whole ambiance look even more riveting. The industrial style is very edgy, but that doesn’t mean that it literally emulates lots of sharp corners. It just means that it utilizes bold, less typical design elements and shapes like hexagons, track lights, etc. 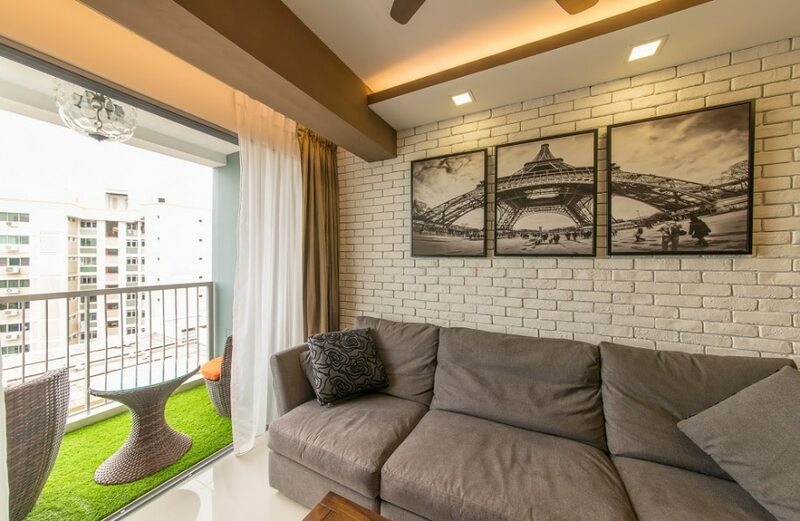 This helps it stand out from the plethora of conventional spaces that are rampant these days.